Passport Services issues millions of passports each year. A small percentage of these passports get issued with data errors that need to be corrected. The types of errors that need to be corrected include the printing errors and spelling errors listed below. The procedure for correcting printing errors requires you submit the form and documents listed below. The passport book or card containing the error. A signed statement explaining the error. On the outside of the envelope, write "Urgent Attention: Correction." If it has been less than 90 days, send to the agency which processed your passport application. If it has been over 90 days, please send to the address on the DS-5504 form. One thing you need to consider is the fact that passports with printing errors are not returned to the applicants. 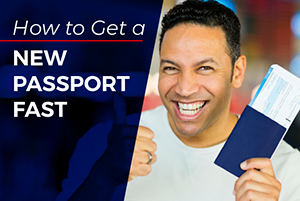 If want to keep the passport as a souvenir because it has visas or entry and exit stamps in it, then you will either need to continue using it until it expires or apply for a new passport. If you submit it for correction, you will not get it back. There is no fee to get your passport corrected if requested at any time while the passport is still valid. When you submit a DS-5504 to correct a passport printing error, your request for a correction to your passport is processed as an expedited service. This means your new, corrected passport should be delivered to you within three weeks if you use two-way express mail. What if you have an imminent trip abroad and can't wait for three weeks? One option is to travel without getting the passport corrected. 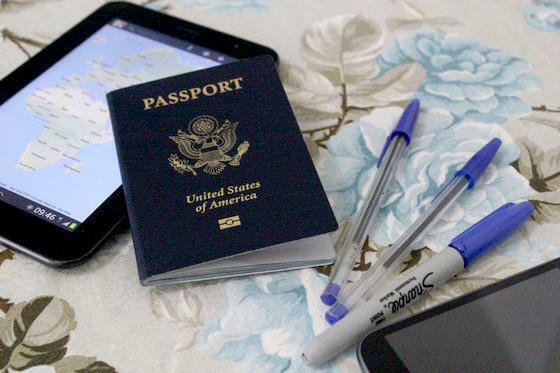 It is usually possible to travel internationally with small data errors in a passport. 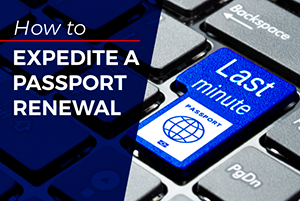 Another option is to visit a regional processing center where you can get a new passport as quickly as the same day. Neither an appointment nor proof of travel will be required if you choose to appear at a regional agency to have the error corrected in person. 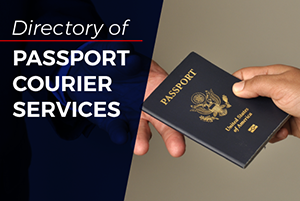 Finally, you can employ the services of a registered expedited passport courier service if you want to get the passport corrected within a few days but cannot personally visit a regional agency.